FieldStrike | Auditing | The Leading Sales CRM System by GMP Software Ltd.
our fieldStrike audit app works on ios and android devices making it easier than ever to collect market intelligence from the field. Whether you need to check in-store compliance of your own campaigns, or take photos of your competitors’ activity, our app will meet your needs. Simple and concise reports give you the most accurate information from the field. Our mobile app is designed to work on both iOS and Android phones or tablets for short period tactical activities. 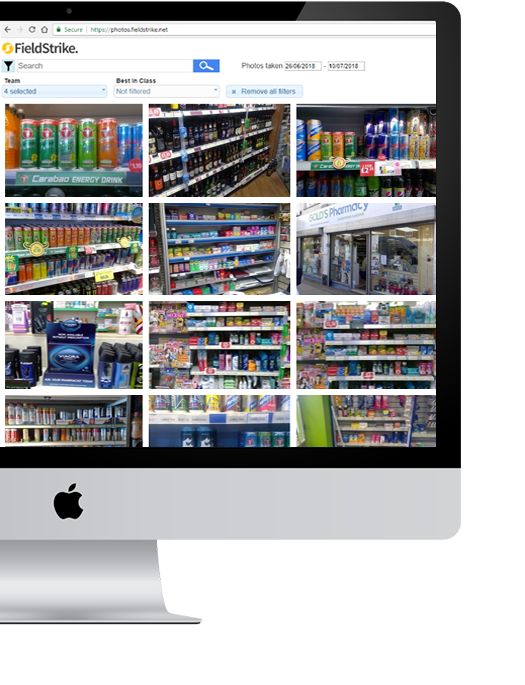 Answer surveys and take photos in-store, with a full reporting suite to give you the ability to gain fast in-depth analysis of your stores. Share photos with other popular apps such as Whatsapp, Facebook and Twitter.